Read these questions and answers carefully if you’re considering entering the race. If you are not familiar with us check out short video about our flagship rally the Budapest-Bamako. We’re bringing the spirit of the Budapest-Bamako to new parts of the world. What is the BAJA XL? 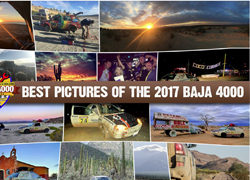 The BAJA XL is a non-timed, navigational and endurance race and road trip from Los Angeles along to Baja peninsula and back. Teams can enter in racing and adventure categories. The BAJA XL is a minimal assistance event. There are no rescue teams, no sweeping trucks to collect broken down vehicles, no rescue helicopters or ambulances. Minimal assistance means that you have to rely on your own resources, the kindness of others and your good luck to get out of sticky situations. In case of severe disasters there is a medical evacuation service. The BAJA XL is a long and difficult competition and road trip for those who have ever dreamt of the Dakar, the Baja 1000 or the Budapest-Bamako. How was the First BAJA XL? The first edition of the rally in 2017 was a huge success. It exceeded all of our expectations, but don’t take our word for it. Check out our Facebook Group and scroll down. 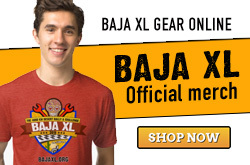 How is this different from other Baja races? The Baja 1000 is a very difficult speed race where the main goal is to be faster than the other guys. They announce the exact route with GPS coordinates weeks in advance so locals can practice and pre-run the course. It gives home teams a huge advantage. 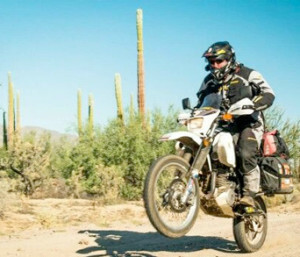 The BAJA XL has no speed component and the daily stage coordinates are released each day of the race. We will give 10-20 coordinates and navigators have to plan the course on the spot. The avarage length of each daily section is about 400 kilometers. For teams in the non competitive section of the rally, the goal is to complete the course on time, not get lost and enjoy the magic and beauty of Baja at the same time. HOW IS THIS DIFFERENT FROM YOUR OTHER RACE, THE BUDAPEST-BAMAKO? The Baja is half the distance of the Bamako. There are only two countries. There are no security issues and medical issues. 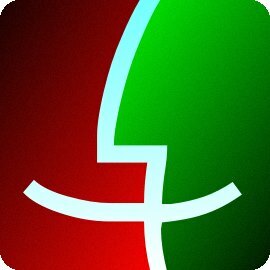 The daily stages will be shorter and a lot more time will be spent in nature. The Baja is a different desert than the Sahara. The rally also starts and ends at the same place so it’s easier to manage car sales, drop-offs and getting home. The concept is the same. The format is the same. The rules are the same. The challenge is the same and the adventure is the same. There will be difficult moments. There will be tough roads. There will be long days. One thing we can guarantee is that nothing is certain! How much money is needed for two people? Your budget is mostly dependent on your needs. Can you rough it for a week or do you fancy to travel in more luxurious settings? The following calculation is a relatively middle of the road budget and it included getting there and home. Numbers can be lower and can be higher. 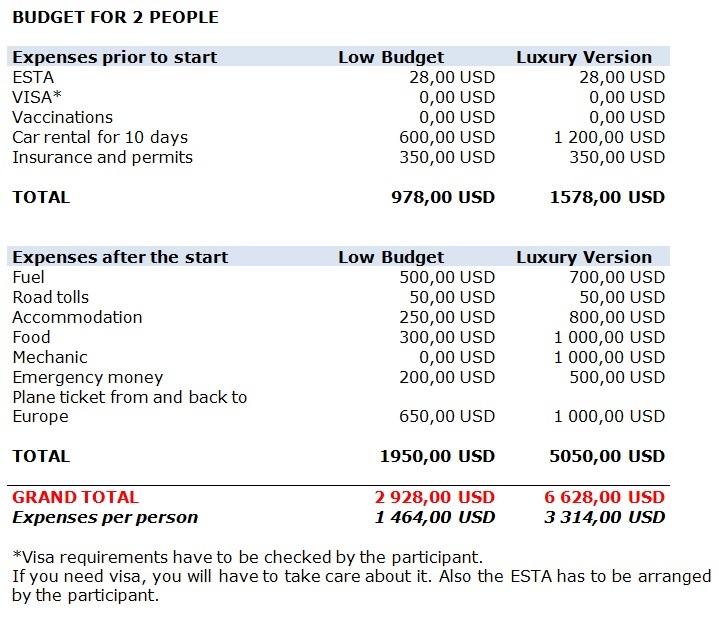 The price of the vehicle and the entry fee is not included in this budget. Please note the many people will be arriving from outside of the US or Mexico so some of the items will not apply to American teams. If you come the three or four of you, you can lower the costs even more. Roughly the per person budget is $1400-$3300. This includes airfare to Los Angeles. WE DON’T HAVE A CAR IN THE US. WHAT ARE OUR OPTIONS? You have 3 options and only one of them will land you in prison. So here are the other two. 1) RENT A CAR. Renting a car in LA is not very expensive compared to other parts of the world. For about $60 you can rent a Toyota RAV4. For about $100 you can rent a Jeep Wrangler Sahara. Or if you’re on a tight budget, you can get an economy size car for about $35 a day. Almost all car rental companies allow you to take their cars to Mexico as long as you buy Mexican insurance. Certain companies have restrictions on certain models. We will list partnering rental car companies later on during the year. Always make sure if the company lets you take it to Mexico. Another option is to rent a car in Mexicali and bring it to the US from there. In 2017 many European participants rented SUVs in the Los Angeles and San Diego. No one had problems bringing the car into Mexico or returning it. Sometimes you can catch incredible deals like this one. $408 for a Jeep Cherokee for 10 days. 2) BUY A CAR. Buying a car is worth it if you’re planning on staying an extra two or three weeks in the US or Mexico to drive more.It’s also a good option if you want to save money on your entry fee and enter the Spirit category in an old piece of junk. Any car that costs less than $1000 can qualify for the Spirit Category. If you are lucky you can also sell it after the rally. Please note that if you are not a US citizen it’s hard to register your car and will take time. Also the cheaper the car, the harder it is to buy liability insurance for it. If you are not up for dealing with hours of phone calls and bureaucratic hurdles we advise against this option. Auto Trader – Los Angeles under $1000. Cars.com – Los Angeles under $1000. 3) MOTORCYCLE RENTAL: We were not successful renting motorcycles. If you’re coming from another part of the world, it’s probably easier to buy a bike in Los Angeles from a dealer and resell it with a $500-$1500 loss. It’s still cheaper than renting a bike. 4) SHIP YOUR CAR OR MOTORCYCLE: You can load your motorcycle, car or camping gear in a container and ship it to the port of Los Angeles. We’re working on getting the prices and the terms of the container. We estimate that for a motorcycle it will be $800-900 round trip. For a car it will be $3500-$4000 from Europe. WHAT IS THE RACING CATEGORY LIKE? In racing category the participants have to complete daily stages from one camp to another. Along the road they will have to find geo-points, which are navigational points usually given by GPS coordinates. These points have to be visited, photographed and entered on a daily race sheet. There are also GPS checkpoints that teams have to drive through to collect points. There are certain tasks where the shortest or the fastest routes has to be found. Teams can collect points for completing the daily stages and reaching the geo points. Penalties are given for missing daily stages or speeding in residential areas. The race is monitored by GPS loggers. The competitive category adds an element of excitement and adrenaline to the adventure. WHAT IS THE TEAM GPS COMPETITION CATEGORY LIKE? On our older uncle, the Baja 1000, teams can replace the driver and rider on the race vehicle. We’ve received many requests so we opened up the TEAM COMPETITION CATEGORY. Basically you enter one race vehicle and you transport several replacement drivers in a touring category vehicle. They can be replaced at any time. So let’s say you have one race bike and 4 riders. One rider rides the bike and three other replacement riders follow him in a touring category car. WHAT IS THE TOURING CATEGORY LIKE? In touring, there are no points, no geo challenges and no tasks to complete. You’ll get a detailed road book with the daily stages, points of interests, dangers and you’re free to roam and discover. The touring category is about adventure, discovery, connecting with other people and visiting places you never knew existed in the world. WHAT DOES MINIMAL ASSISTANCE MEAN? Minimal assistance means that we are neither a guided tour nor a professional car race. Even though there are race referees at the daily end stages and there is a medical tent for first aid during the rally, there are no rescue helicopters, mechanics, professional tour guides, masseuses or catering trucks. You have to rely on your own skills, resources and wits to get out of trouble. Bamako Adventures are about community. It’s about teams helping each other and participants relying on local resources to solve their problems. We will give each participant access to an emergency medical evacuation service. In case of a serious accident or injury you will be evacuated to the US using Binational Emergency Medical Care, an evacuation service. Access to the services is included in your insurance purchased with your entry fee. WHY ISN’T THE RACE TIMED? With a timed race comes certain requirements, such as roll cages, helmets, ambulance helicopters, timing marshals and more. These all cost money and make the race expensive. Our philosophy is to keep our rallies for amateurs and make them more about the adventure than crazy speeding. WHO MAY ENTER THE BAJA XL? Our motto has been the same since 2005: “Anyone. By Anthing. By Any Means.” That about sums it up. The race is open to anyone in any type of vehicle. As long as it is street legal you can drive it: cars, trucks, bikes, quads and vehicles shaped like giant hot dogs. WHAT IS THE SPIRIT CATEGORY? This category has no entry fee. Drive an unlikely vehicle and pay no entry fees. The Spirit Category is open to vehicles whose place is in a demolition derby and not on a marathon rally. If someone says “I can’t believe that these guys want to drive this piece of junk” upon looking at your car, it qualifies. If the car is pre 1975 it qualifies. If the car is a two wheel drive car and costs less than $1000 it qualifies. If the car is a mutant vehicle, art car or puts a smile on spectators’ faces, it qualifies. You need to let us know what you want to drive. We’ll consider it and let you know. We accept maximum 10 vehicles in this category. You must pay a $500 Spirit deposit which will be returned to you if you show up for the pre-race press conference and at the start line in your promised car. Otherwise you’ll lose the deposit and may be disqualified. Please let us know what you’re planning on driving. WHAT KIND OF DANGERS CAN WE EXPECT? You can reduce all the risks and you prepare for dangerous situations, but there is one very important rule: in case of danger, you can only count on yourself. HOW WILL WE KNOW WHICH WAY TO GO? For every stage there is a start and end point. You need to figure out which way to go. Use maps, GPS and whatever navigational tools you can find and figure it out. We’re providing a detailed road book to participants which will list possible ways, points of interest, navigational points and potential dangers. Read the road-book carefully. The road-book will be published in December. This is what the road-book looks like. Excerpt from an old Budapes-Bamako road-book. Every night a hotel or campsite will mark the end of the day’s stage. In bigger towns we’ll spend the night in two-three star hotels and motels. Outside of the cities tents are recommended. Participants will receive an official list of hotels though no one is obliged to stay at these facilities, and it is possible, that not everyone will get a room. Even if you make a reservation and prepay your room it doesn’t mean that it’ll be there when you arrive. You must have a tent since a lot of nights will be spent in nature. WHAT KIND OF MEDICAL PREPARATIONS ARE NEEDED? Luckily the US and Mexico don’t require extensive medical preparations like a trip to Africa. It is strongly recommended that you be up to date on your tetanus shots and have a strong medical kit with you. The kit can easily be purchased in the US prior to the trip. The route of the BAJA XL goes on the road of your choice. The rally travels on roads indicated on road maps. However some of those roads are in horrible shape, some of them are dirt roads. Even the main paved road of the Baja the trans-peninsular can be narrow and in bad shape at places. The general rule is that expect all kinds of miserable roads. If you plan to enter in a 2WD vehicle you might have to go around some difficult sections or skip certain stages. The racing category will be hard. If you want to complete all the stages, you have to come with a 4-wheel-drive car. It is not impossible with a two-wheel-drive, but it is sure that you will have to shovel, push and to ask for the help if you would like to get every point. CAN WE ENTER ON A MOTORCYCLE OR ATV? Yes. The BAJA XL is especially enjoyable on a motorcycle. You must be a skilled rider and you must be prepared for long and difficult days. To make the lives of bikers easier we’re planning to offer support services to bikers. Each biker will be able to buy support services. The bike support truck will carry fuel, spare tires, food, water and personal gear from camp to camp. Bikers can enter in both racing and touring categories as well. CAN WE ENTER ON A SIDE BY SIDE (UTV)? Yes. If you enter in one of those vehicles you can skip the California stages and drive in Mexico only. The rally will start for your in the first Mexican start point. WHAT TO DO IF WE BREAK DOWN OR HAVE AN ACCIDENT FAR FROM CIVILIZATION? This is one of the most frequently asked questions. The best solution is the prevention. Never go alone. No one has ever got stuck in the desert forever. 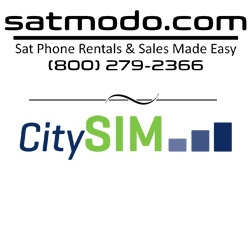 The first solution is that you ask for help using your satellite phone or on CB radio and a participant who is near you pulls you out, takes you to the day’s end stage or helps you. The second is that a local rescues you from trouble. The third solution is to walk to a paved road and you call help. The official road book will contain important information for situations like this. Since the rally travels along officially recognized roads sooner or later you will run into other people. It is stronly recommended to have: CB-Radio, satellite phone, local cell phone, 3-4 days worth of food and water. If you are hurt in an accident or fell sick, an emergency evacuation service will pick you up and fly you back to the US and then to your home country. WHAT TO DO IN CASE OF ILLNESS OR INJURY? We will have a small medical crew on the rally available each night and morning for first aid and basic medical assistance. For serious injuries and illnesses you must use local emergency assistance, hospitals or the evacuation service that is included in your insurance. 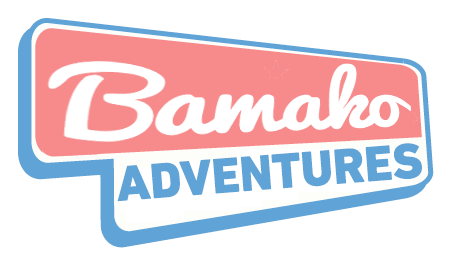 It is mandatory that each participant has the insurance coverage approved by the Bamako Adventures office. It is also mandatory that you submit a medical history form and sign a medical release form. Without these your entry is not considered valid. A good map can save your life! Please make sure that you are well equipped with maps of the Baja peninsula. Also make sure that you use a GPS that has an up to date map of the area. We recommend National Geographic’s Baja Map Pack. It comes with two very detailed map of the peninsula. For your GPS maps we recommend Cartografia. Or try the open source Garmin maps of Mexico. Please do not rely on your smart phone’s GPS. Invest in a dust proof, water proof, shock proof global positioning system. We recommend Garmin Colorado and Garmin 276C. Both of these keep their value. After the race you can sell them on eBay or Amazon easily.